The persistent hoax that Facebook founder Mark Zuckerberg will give away millions of shares of company stock to those who copy and paste a message to their Facebook profile has already been debunked. Now it's generating sarcastic memes. A spokesperson for the social media site deflated the possibility that Zuckerberg would distribute his wealth to users of the site in early December, but users continued to post the message just in case. The outcry has spawned memes mocking people who still believe it's real. An image shared Monday depicts a laughing Zuckerberg and reads: "It's 12/28/15. So did you get all that money?" Another, this a picture of a white unicorn, says, "Mark Zuckerberg is giving away a magical unicorn if you post this picture." A typical message from the hoax proclaims: "Mark Zuckerberg is going to give away 4.5 million shares of his Facebook stock tonight at midnight; 10% to people like you and me! All you have to do is copy and paste this to your page and post. Facebook is doing this to show what a powerful tool of connection it is !!! Can't wait to see who wins !!! This is not a hoax !!! It's on Good Morning America!!!" In response, a message on Facebook's own page says: "Friends don't let friends copy and paste memes. While Priscilla and Mark's pledge to give money to improve the world is real, not everything you read on the internet is, and they're not giving it away randomly. Be safe out there, sweepstakes seekers." After going viral in early December, the widely distributed hoax picked up steam again during the Christmas holiday. 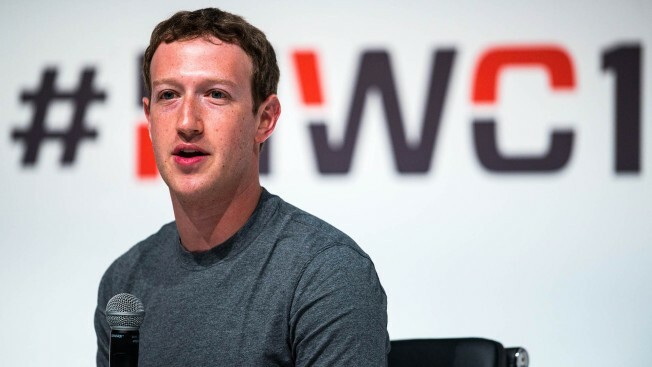 The hoax may have originated in a different act of generosity from the Facebook founder. Marking the Dec. 1 birth of their daughter Maxima, Zuckerberg and wife Priscilla Chan did reveal that they plan to give away 99 percent of their Facebook shares — worth an estimated $45 billion — to charities over their lifetime through their Chan Zuckerberg Initiative.